Do you like to spend time with your child? Do you want your child to develop an empathy for others? Do you want to enrich your child’s life with music? Do you want a developed methodology of study? Do you want your child to develop self-esteem? Are you looking for a family centered environment? THEN THE SUZUKI METHOD IS FOR YOU! An early beginning, a nurturing environment, quality musical training plus a strong partnership among parents, teachers and community are the cornerstones of the Buffalo Suzuki Strings philosophy. The faculty and staff at BSS, the oldest Suzuki Method program in Western New York, can provide the best nurturing environment for your child and family. Hundreds of WNY families have already come to embrace our educational philosophy and experience the added value of Suzuki-based music instruction. Dr. Suzuki had always loved children and became very interested in teaching them. He was intrigued by children’s natural ability to assimilate their very complex mother tongue and thought they could learn music in just the same way. Dr. Suzuki believed that all children have the talent to learn if they are taught well by loving parents and teachers. He proposed to teach the language of music in the same way children learned to speak ~ starting when they were very young and hearing music all around them. Over the years Dr. Suzuki perfected his teaching method; today there are thousands of children around the world who have learned to play music beautifully through the Suzuki Method. The Suzuki approach seeks to develop the whole child and to help unfold his/her natural potential to learn and become a noble human being. Through the Suzuki developmental process, children thrive in a total environment of support. Suzuki students develop confidence and self-esteem, determination to try difficult things, self-discipline and concentration. They acquire a lasting enjoyment of music and skill and sensitivity for music making. We want to see our students leave the program as fine musicians as well as skilled instrumentalists. However, it’s just as important to help a child open his heart to music as it is to train his ear. Our curriculum states exactly what we want our students to learn, not how fast we want them to learn it. Dr. Suzuki believed that all children have the talent to learn if they are taught well by loving parents and teachers. He proposed to teach the language of music in the same way children learned to speak ~ starting when they were very young and hearing music all around them. Over the years Dr. Suzuki perfected his teaching method; today there are thousands of children around the world who have learned to play music beautifully through the Suzuki Method. The key to a Suzuki student’s success is Dr. Suzuki’s belief that all children can learn if they are taught in the right way. 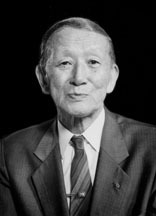 The Suzuki Method develops the whole child; it helps the child to unfold his/her natural learning potential and to become a “noble human being”. While Suzuki-trained children acquire a lasting enjoyment of music and a skill and sensitivity for music making, that’s only a small part of a greater benefit. In the Suzuki developmental process children come to thrive in a total environment of loving support from parents and teachers. Suzuki Method students begin to develop self-discipline, concentration, a determination to try difficult things, and a sense of real accomplishment rewarded by self esteem and confidence. The Suzuki Method was first introduced to the United States in the 1960s and over the years more and more teachers and parents began to embrace Dr. Suzuki’s philosophy.